Alright, so here is a quick video about how and why you want to do blog commenting. So basically, here’s the idea. Lots and lots of people have blogs, in whatever industry or arena you are working inside of. In this case, I’m going to show marketing blogs, but you could do whatever you wanted to do as far as whatever your industry is in going and commenting on other people’s blogs. So what I did was I actually hired somebody to go and to find blogs dealing with marketing. They went out and found all these different websites; they came back with a list of the Top 200 websites in terms of traffic and ranking for me and I loaded them into a Google Reader account. So I’m going to go in and log into my gmail account. If you don’t have a gmail account, you could set this up on your own, get a gmail account which is free. But basically all I did was … I went in and set up an account for our Three Money Methods site. If I click on “Reader” once I’m logged in here, by the way, don’t send email to ThreeMoneyMethods at gmail.com because I won’t get it – I just don’t check this account for anything. But if you click on Reader inside of here, I’ve loaded all of the blogs in here. I actually had somebody go in and add subscriptions to all of these blogs. So they just went through one by one and added subscriptions to the blogs. So I can click on “All Items” inside of here and I can read the most recent posts, today’s a Saturday, so there won’t be many that are too recent, but I can read the most recent posts about whatever people are talking about within the marketing arena. I’m going to do the same thing on this post, on this post, on this post and on as many other posts as I can, or want to, inside of here. Now again, you want to actually make comments that are relevant to what people are talking about. Number one, you’re building relationships with all the top people in your arena and number two; you are posting links to bring people back to your website. But first and foremost, you’re building relationships! So you want actually to post something that’s relevant to what they’re saying inside of their post. The reason I want to show you this here is if I go into my Google Analytics account, I can show you the difference between posting blog comments and not posting blog comments. So I’m going to go log-in to Google Analytics here and we’re looking at Three Money Methods inside of Google Analytics and this is just referring sites that referred people just to the front page of ThreeMoneyMethods.com. Inside of here, you can see, I’ve got pathetic, pathetic, pathetic, pathetic, pathetic (laughs), pathetic, pathetic, pathetic, pathetic; all this no traffic, no traffic, no traffic. Hey, then one day it jumps to five and three and three, and look at this! Thirteen visits and the vast majority of this is coming from blog commenting! All I did was go post some comments on other people’s well-trafficked websites, to actually add some conversation to the discussion and become part of what’s going on in the community. I posted this day, I posted this day, posted blog comments. I don’t even think I posted any on this day and I didn’t post any on this day. But hey, look! I posted a bunch this day and I brought in 20 visitors basically to my website that day. I didn’t post any Thursday and I didn’t post any on Friday, but I’m still picking up residual traffic from the work I did on Wednesday! All you have to do to bring people to your website is go and post comments on other people’s websites that are already getting traffic! Become part of the conversation of what’s going on in your industry and your arena and you can actually bring traffic back to your website to get them to do whatever you want them to do on your website! Now the only thing you can do on Three Money Methods, when people come to this page, the only thing they can do is actually put their name and email in; they either go away or they put their name and email in; now I’ve done that on purpose. But whatever goal it is that you have for your website, you can use blog commenting just to bring people to the website. So here’s the deal; I have three different lists that I have put together – the top 200 blogs. I’ve got the top 200 blogs in “green,” I’ve got the top 200 blogs in “travel” and I’ve got the top 200 blogs in “marketing.” If you will come to ThreeMoneyMethods.com and put your name and email in, I will give you what’s called an OPML feed to just upload automatically into your Google Reader; so you don’t have to go through the process of hiring somebody to find the top 200-250 blogs and then put them into your Google Reader, all you have to do is download one file from Three Money Methods website after you put your name and email in, just download this file and then upload it into your Google Reader and you’ll have all of those blogs already sitting in your Google Reader for free, from me just in exchange for putting your name and email in here at ThreeMoneyMethods.com. Go ahead and come to the website – I hope this tip has been very helpful for you. Posting comments on other people’s blogs is a great way to find out what’s going on in your industry and your arena and it’s also a great way to get people back to your website to do whatever you want them to do once they’ve actually come to you to find out more information about what it is that you do. So, I hope this has been very helpful — definitely come visit us at Three Money Methods for more great tips about how to do online marketing! Thank you very much for taking the time to watch this video. Hello and welcome back to another edition of Three Money Methods Traffic Tuesdays! I’m your host Jonathan Kraft and today we are going to be talking about one great place for you to do two things with: one, to get traffic to come into your website via things you post externally and another way to get traffic to come to your site via things that you’re learning from this website about what people are looking for. Let’s say you had a blog about technology stuff. Here’s somebody who has a question about “wanna race or battle on Mario Kart Wii?” You could create a post called “how to find friends to race on Mario Kart Wii.” If you had a tech blog, you could also talk about what phone you think is suitable for this person or play two sounds at the same time on Movie Maker. So lots of tech questions in here, but as you’re reading through here you’ll also see there are other ones about travel. For example, “how much for a taxi from Benidorm to Jalon near to Calpe?” I guess this is a question in Spain, but if you have a travel blog, this might be a great question for you to answer on your blog. If you’re looking for content to write about, this is a great place to learn. “I’m a young, African American woman moving from Chicago to Houston.” Good thing for someone with a Houston blog or for someone who is looking to have a travel blog. You could talk about Chicago and Houston – the kind of issues that people might encounter in Chicago and Houston. Here’s a geocaching puzzle that finds coordinates to a location #4 – so this is Games and Recreation but it’s also a travel question. So this gives you a great place to just find topics that people are already asking questions about. The other thing you can do is search; so I’m going to search in here for “green buildings.” I know we just posted on GreenJoyment about this so I’m doing this on purpose, but we might want to do an Advanced Search because we’re pulling up all kinds of old answers. But if you do an Advanced Search here, you can find questions that are still open to be answered. Now you have to setup a Yahoo Profile in order to do this, you can, it’s very simple. So we want the question status to be “open question,” date submitted can be anytime. So, “what is the going rate when buying a green horse?” “How does a small company get involved in going green?” See I was looking for green buildings but what I was really looking for was how companies can work to go green in their own environments. I know I have a lot of the answers over here in this post on GreenJoyment. So I can just basically copy and paste to answer this question. “I’m a marketing manager for a small multi-media company with 20 people. We’re looking to get involved in environmentally going green. How can we get involved in a local community with little budget? Also, we are self-serving in the fact that we would like to get some recognition out of this.” So you could answer whatever you wanted. Now this has already had a “Best Answer” chosen by voters. “When did the “going green” phenomenon begin exactly and for what reasons?” This is a great question … “when did it change from a hippie, tree-hugging thing to a mainstream thing? I’m doing a cultural analysis on this and am looking for some origin info. Any help is much appreciated. Website resources are great too.” This is a question I can answer very easily using tools that we’ve already talked about. So here’s what I’m going to do is I’m going to go www.google.com/trends. In Google Trends I’m going to type in “Inconvenient Truth” … now this just happens to be a question I know the answer to because I offer it inside the green arena. You’ll know the answers to a lot of the questions people are asking in your arena and that’s the point of this. “Going Green” and let’s type in “Fast Food Nation” as well and “Super Size Me.” So if we look at this here, this is actually a pretty helpful graph for the person who is looking for when this became such a big issue. But really look, “going green” doesn’t really get really big until the middle of 2008. What I’m going to do though is I’m going to copy the full web address here, so if I copy this, I’m going to actually get rid of Fast Food Nation because it doesn’t really help with the case that I’m trying to make so I’m going to rid of that. Super Size Me is sort of on that chart, so we’ll leave that there for now. What I’m going to do is then copy this web address and go back over to my Yahoo Answers here and my source to paste that there and then another source is www.GreenJoyment.com. So I’ll just tell her something about Google Trends; “hope that Google Trends helps you out.” I usually put my name in here when I’m answering a question or something because it creates a relationship with people. But now I’ve got two different web addresses in here, one is my GreenJoyment site and the other one is this Google Trends search. Go ahead and click preview and my answer is down here and hey, look at that; I’ve got two links … one of them comes right back to my website from Yahoo Answers. So I’m going to go ahead and submit. I’ve helped both to answer her question – here’s someone who’s interested in the market that I’m already involved with. I’ve got a couple of links now coming back to my website from this particular term. If someone actually votes this to be the “Best Answer” then I’ll actually get more points in Yahoo Answers but I’ll also have links coming back to my website from a question that got answered at Yahoo Answers. 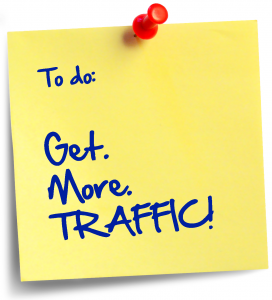 It’s a great way to bring traffic back into your website. It’s also a great way to find topics to post about. If I go from her open question here, it has a category called “green living.” I can go into the green living category and find open questions in there to answer. I can also just look at past questions that people have asked that have gotten a lot of attention and I can answer those questions. Check it out! Start using it! Yahoo answers is a great way to bring traffic back to your website and also to know what to talk about when you are looking for topics for your website. In this ThreeMoneyMethods Traffic Tuesday video, we explain how Adsense works. So, what I realized is that I’m starting too complicated; I need to start simpler and help people understand really what Adsense is and how it works. So Sandy, since you’re the one who was brave enough to ask the question that other people were not brave enough to ask even though they had the same question; we’re going to go ahead and do a quick video here to explain how Adsense “and stuff like that” works! So on one side, you have someone called an advertiser. This is someone who has a product or a service that they want to sell. In the middle, you have Google and lots of people visit Google every day, but not everyone visits Google! Some people visit websites; websites about … whatever. Let’s say this advertiser has a product dealing with digital cameras, let’s just say cameras over here. They’re trying to sell cameras. What they’re really good at is making cameras, making good deals on cameras, finding better technology for really producing good quality cameras. So what they do is they say, well, there are lots of people; they’re visitors, here’s the other player in this, there’s visitors who are also called customers. There are lots of visitors or customers who come to Google everyday. Now this advertiser knows that there are lots of visitors coming to Google every day and so they say, hey Google, could we run some advertising with you? And Google says, sure, no problem! I won’t charge you just to run an advertisement, I’ll only charge you when one of those visitors comes to me and searches for your product and then if they click, I’ll charge you. But if they don’t click, I won’t charge you anything. This is one way this works. There’s a lot of different ways that this works. But the visitor goes to Google, looks for cameras; the advertiser runs an ad on Google and the advertisement redirects somebody actually back to a camera page. Now let’s use an actual example of Google to see how this is working. So, we’ll do a search at Google for “cameras” or let’s go even more specific than that, let’s go “Nikon cameras.” Here are some people who are advertising: Walmart.com, OfficeMax.com, and BestBuy.com; those are all “sponsored” links. Then over here on the right-hand side, we also have Nikon digital cameras from Ritz Camera, they’re the advertiser; and we have Nikon digital cameras from Dell, eBay, Amazon, eCameraFilms.com, BHPhotoVideo (I love those guys by the way) and Nextag.com. Those are all people who are paying to advertise on Google. Those are the advertisers in our equation; Ritz Camera and all those guys, that’s the advertiser and Google is the company they’re going to, to try to get people. Google doesn’t make money from these advertisers in most cases; in this example let’s say, until I actually click on one of these ads and I’m not going to click on that ad because that would cost Ritz Camera and I’m not actually looking for a Nikon digital camera at this point. However, there are also people on the other side of this equation who have websites and I may not go to the advertiser’s website. I may not click on Walmart or Office Max or Best Buy, I might click on Nikon USA or I might just go to someone … here’s DigitalCamera-hq.com for example, I might just go to this website. So I might go to DigitalCamera-hq.com or I might go to some of these other websites. For example, I might go to DigitalCameraInfo.com because that sounds like maybe a good site for me to find out some more information. Well, if I go to DigitalCameraInfo.com and if you look up top here, you’ll see this thing that says, Ads by Google. There’s another box over here that says, Ads by Google. But there’s one box up top here — an ad box with Ads by Google. Two different ad boxes there on this website, digitalcamerainfo. By the way, DigitalCameraInfo.com, you can pay me later! They didn’t know I was making this video, but I’m definitely advertising for them! Anyway, if you look down the page here, there’s another advertisement, this is also “Ads by Google,” this is a display ad. In this equation, I’m the visitor and I’m coming to the website and I’m coming to find out more. Well, I went to Google, but didn’t click on the advertiser’s page; I went to a website over here. On that website, in the case of DigitalCameraInfo.com, there was an ad box up here, there was an ad box right here and there was another ad box right here. All that this website had to do in order to get Google to advertise or run those advertisements on their website, was to go to Google and say, “hey Google, I have a website, can you give me some code and I’ll put it on it.” So Google gives this person some code, that code goes in various places on the website and then once that code is on the website, Google is able to pull from its base of advertisers and put ads into those ad spaces on the website. As the visitor, if I come to this page on the website and I click out to go to the advertiser, Google is going to make some money and so am I because I’m the owner of the website. This is a lot of arrows and it can get kind of confusing so if you want to watch the video again it will help to clear it up. But on this side of things, it’s called Adsense. This is where you have a website about a specific topic, you go to Google, you throw some code on your page and when visitors come to your website and click on those advertisements, Google then pays you for having brought the visitor to that advertiser’s website. This advertiser pays Google some money and then Google shares that revenue with you. That’s called Adsense. That’s how Google makes money on the Adsense side of things and that’s how you make money on the Adsense side of things, by running some code on your website. Google figures out what your website is about and they display advertising on your website that you get paid for when people click from your website to go to an advertiser. Hopefully that makes sense, if that doesn’t make sense, please comment below the video here and let me know how I can make it clearer. I’ve obviously, with all of these arrows, all over the place! This whole picture here, I probably didn’t make it really clear from a visual standpoint, but if you watch back through the video, you’ll see what happened with all those different arrows and what each one of them represents. Hopefully that makes sense! That’s how Adsense works as a program. If you have a product or service to offer, then what you’ll want to do is look at Adwords which we’re going to cover, at least topically, in a different video. Thank you very much for taking the time to visit ThreeMoneyMethods.com! Again, please comment below the video here if you have any questions at all about how this works. I’d be happy to answer them in another, upcoming Three Money Methods Traffic Tuesday’s video! We’ll look forward to seeing you back here at ThreeMoneyMethods.com!